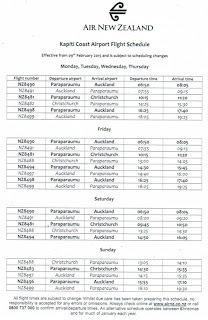 Plans for an Air New Zealand service from Paraparaumu to Auckland and Christchurch go back to 2007 when Paraparaumu Airport Holdings major shareholder Noel Robinson and Air New Zealand starting evaluating domestic services using Paraparaumu Airport. Paraparaumu Airport Holdings had bought the airport in 2006 for "well under $40 million" and had announced a $450 million redevelopment plan, including upgrading the airport and building a surrounding business park. In October 2007 Air New Zealand announced it planned to offer at least two flights a day by 2009 to Auckland from Paraparaumu, increasing to up to four a day, along with plans for direct flights to Christchurch. In March 2010 planning commenced for an $800,000 upgrade of the main runway to prepare for an Air New Zealand service which was then expected to start in October 2010. 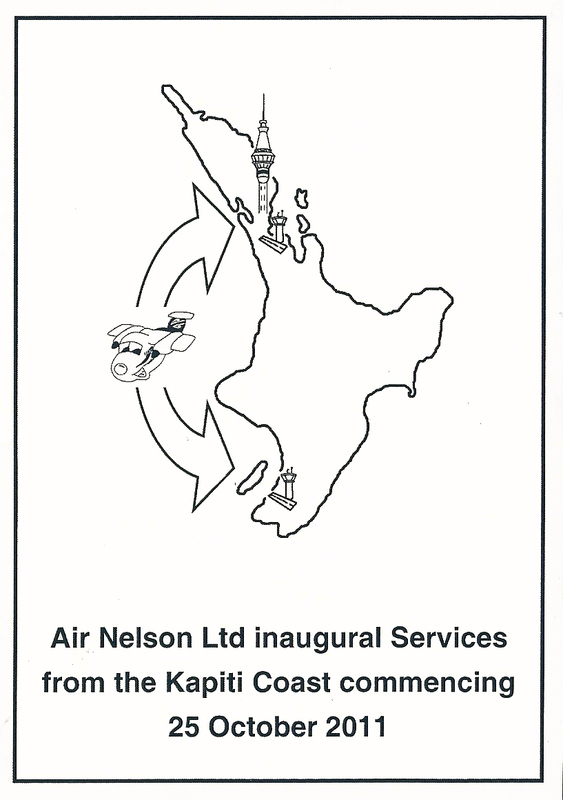 At that time local authorities were expectin the new service to offer four return flights a day to Auckland – two early morning, one at lunchtime and one in the late afternoon using 50-seat Bomaardier Q300s. At the same time concept drawings were being prepared "for a half-million dollar temporary terminal, which would feature a 'fun, eclectic' theme with beach umbrellas and maybe an old aeroplane in a hangar-shaped building which is expected to be completed within six to eight months." By June 2010 it was announced that the new service would not start until February 2011 as Air New Zealand had requested some changes to the airspace management, necessitating the airport company apppying to the Civil Aviation Authority for these changes. In August 2010 the Civil Aviation Authority said Paraparaumu Airport needed a staffed control tower supplying a flight information service to all aircraft using the airfield. The Authority's recommendation followed a fatal collision involving trainee pilots near the airport two years before. This decision stalled the Air New Zealand flights even more. 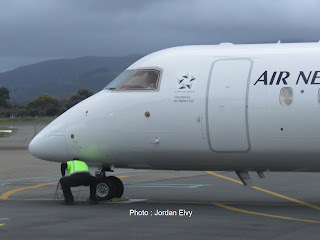 On the the 26th of January Air New Zealand was announced that Paraparaumu is set to become the 27th domestic airport serviced by Air New Zealand, with its subsidiary Air Nelson beginning scheduled commercial services between Auckland and the Kapiti Coast from Labour Weekend this year. Air Nelson will operate three return services a day (Monday to Friday) between Paraparaumu and Auckland using its 50-seater Bombardier Q300 aircraft, with a further three return weekend services. Flight time is 70 minutes, with a total of 1800 seats available per week on the route. Air Nelson GM Grant Kerr says, "Paraparaumu Airport Limited is making a multi-million dollar investment to bring the airfield up to the standard required for regular commercial flights including resurfacing the main runway, upgrading the runway lighting, and installing new airspace safety controls via an Airways NZ operated Aircraft Flight Information Service (AFIS). They will also provide a brand new terminal building and car park." By March 2011 Paraparaumu's airport upgrade was doubled to cope with "likely increased commercial flights" to new destinations including Queenstown as well as Napier and Christchurch. Paraparaumu Airport Ltd director Sir Noel Robinson was so confident in services expanding he was reported as saying he has doubled the budget for a runway upgrade, starting this month, to $3 million to increase parking space for planes. "Air New Zealand are now talking a lot more flights, and they want it [Paraparaumu] as an alternative to Wellington when there's fog or rain, so we've decided to invest the extra $1.5 million." The planned airport terminal, now consented, will double in size to about 450 square metres to take the increased flights and passengers. The terminal will include a VIP room for passengers, a cafe, check-ins for Air New Zealand, Air2there and another air company that Sir Noel would not name. There will be a covered walkway to the tarmac, a drop-off carpark and $8-per-night long-term car park, and a covered baggage collection area. The airport terminal will be completed by the end of July. 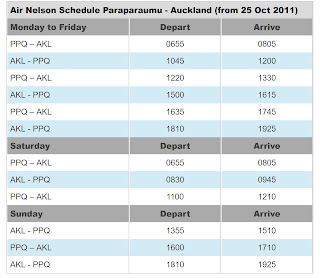 Air New Zealand commenced Paraparaumu-Auckland services on the 25th of October 2011 under its Air New Zealand Link brand. Services were operated by Air Nelson using Bombardier Q300s. The first flight, NZ8490, which left Paraparaumu for Auckland at 0655, was operated by ZK-NES. 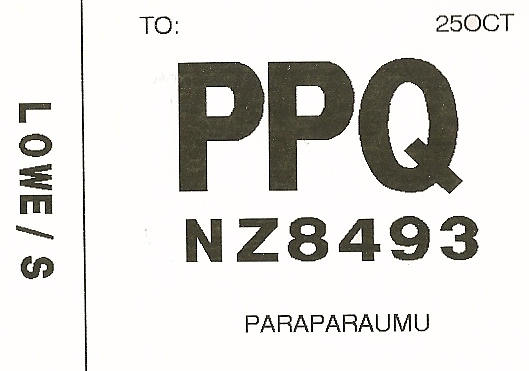 The first flight into Paraparaumu, NZ8491, was operated by ZK-NEJ. 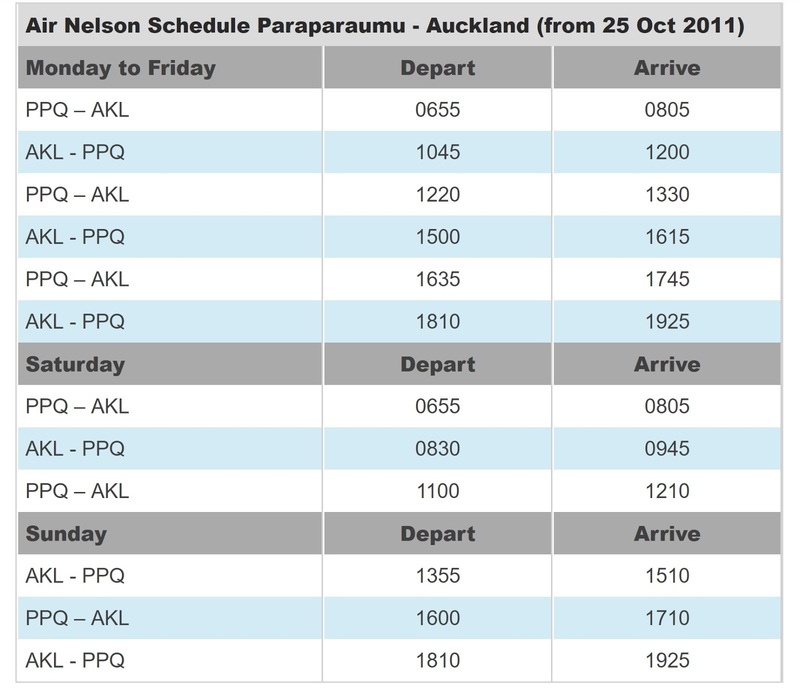 The schedule saw 18 flights a week operated between Paraparaumu and Auckland. In the 12th of July 2013 Air New Zealand announced the introduction of a new daily Paraparaumu-Christchurch service offering a morning departure from the Kapiti Coast Monday to Saturday with a returning service from Christchurch in the afternoon, plus a return service on Sunday afternoons. The new flights were to be operated by Air Nelson's 50-seat Bombardier Q300s.The Christchurch service began on 4th of November 2013. The first southbound flight was operated by ZK-NEO and ZK-NEF operated the first northbound service. 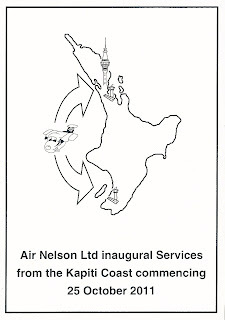 With the introduction of the Chritstchurch service the Auckland services was reduced to two flights a day. Bombardier Q300 ZK-NFA arrives at Paraparaumu from Christchurch on 24 October 2014 (above) and an hour later (below) starts for its departure to Auckland. 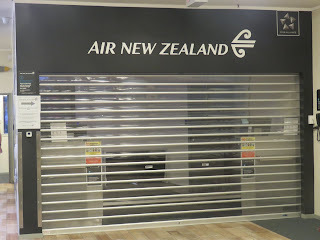 On the 19th of November 2015 Air New Zealand announced it would cut flights between Christchurch and the Kapiti Coast, due to a lack of demand. The airline said the Kapiti Coast Airport to Christchurch route had been operating at a loss since throughout its two years of operation. "Unfortunately the Paraparaumu to Christchurch route has been operating regularly at little over half full and that's simply not sustainable long term," The last Paraparaumu to Christchurch service operated on the 28th of February 2016. ZK-NEK flew both the northbound flight, NZ8488, and southbound flight, NZ8483. 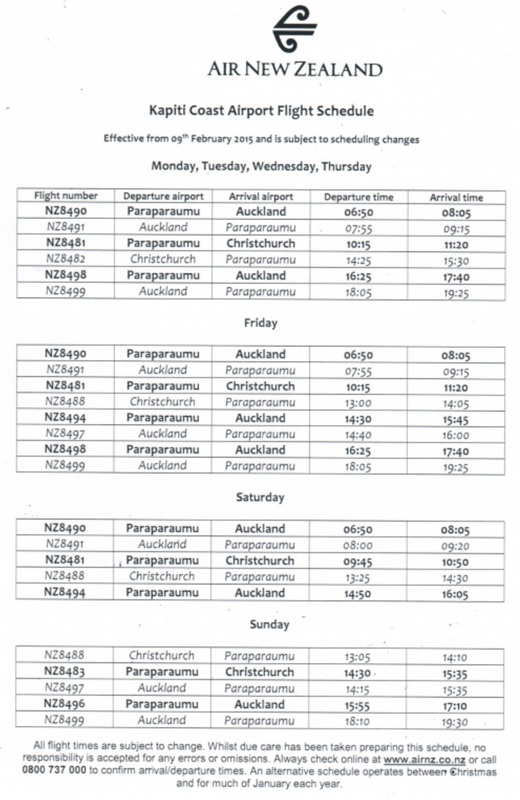 With the removal of the Christchurch service the Auckland flights were increased to 16 flights per week. 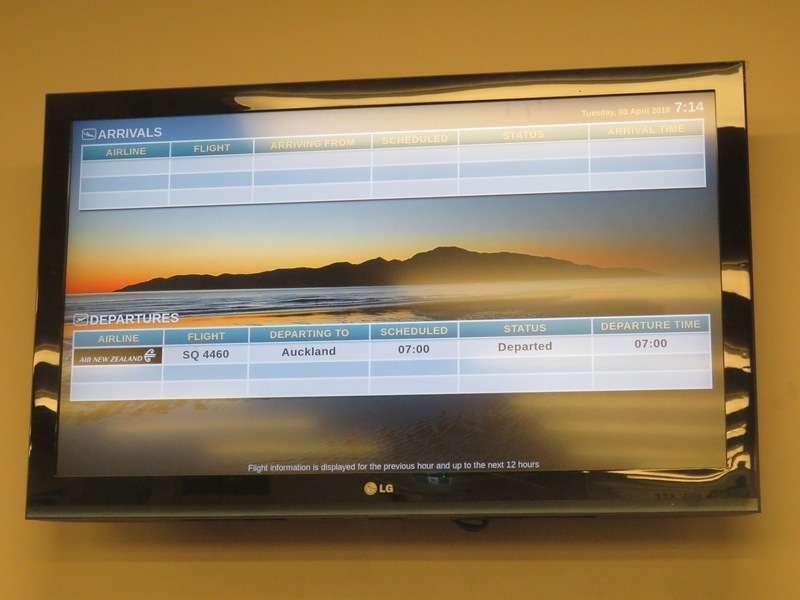 On Mondays, Tuesdays, Wednesdays Air New Zealand operated two return Auckland-Paraparaumu services with three return flights on Thursdays and Fridays. On Saturdays there was one northbound service and two southbound while on Sundays there are two northbound and three southbound services. 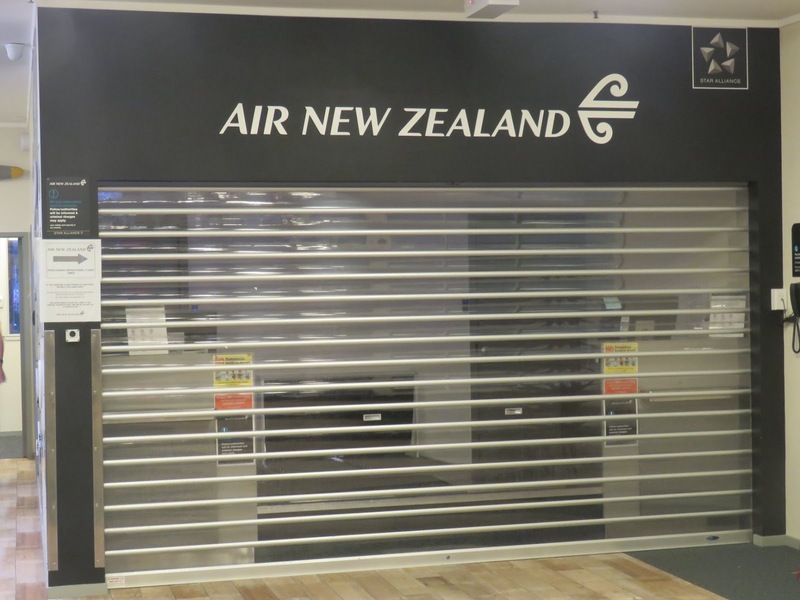 On the 9th of March 2018 Air New Zealand announced it was "suspending its service between Kapiti Coast and Auckland from April this year... Air New Zealand has operated the Kapiti - Auckland service since 2011 and recognises the support the community has given to it." No reason was given as to why the airline was withdrawing from the Kapiti Coast service. The final flight into Paraparaumu, NZ8869 was operated on the 2nd of April 2018. The final flight from Paraparaumu to Auckland, NZ8860 was operated on the 3rd of April 2018. Both these flights were operated by Bombardier Q300 ZK-NEC. Great article Steve. Glad I could give a helping hand in this. Was a great service whilst it lasted. I was on the flight from Auckland on the 24th October 2011, will always remember that day!